Ventus supply, install, own and operate gas fired co-generation engines at your site for the delivery of heat and electricity to your process. The plant can be funded and owned by Ventus on the basis of a contracted term for electricity and heat supply. Our consultants carry out the process investigation and assessment at no cost to you. The Co-Gen plant is sourced and delivered to site. The site owner will generally facilitate the installation (pipework and electrical connection) with their own staff or contractors in collaboration with Ventus Energy. The generation plant is owned and maintained by Ventus but is dedicated to supplying lower cost electricity to your process. 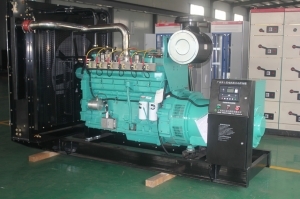 The gas engines can also provide back-up generation in the event of a mains failure. This is particularly useful for customers who operate a critical process such as data storage, residential healthcare etc. 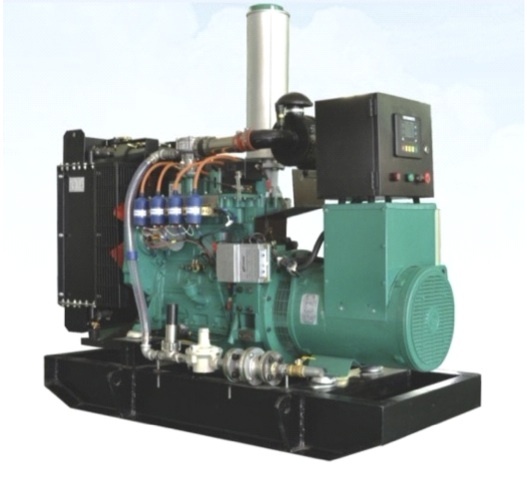 We supply conventional Cummins gas fired engines to medium size industrial or commercial premises. The engines come with a Combined Heat and Power system which uses the waste heat from the engine operation to supply heat to the clients requirements. The heat can be supplied as hot water or steam as required. The Co-Generation plant will run in parallel with the existing electrical mains supply. In this way there is no loss in reliability of electricity supply to the site. The Co-Generation plant may also run in parallel to an existing boiler unit or can completely replace the boiler. This is particularly suitable for older less efficient boiler units. The Existing heat supply from the boiler and the existing electricity supply from the mains are reduced with the Co-Gen operation. It is possible that the boiler and the existing heat supply are removed altogether if the Co-Gen is large enough. However, some site owners may wish to take an incremental approach and have a Co-Gen operating in parallel at least for a time. Extra Co-Gen plants can be installed at later dates if it is desired to remove the boiler function altogether. The overall gas take increases, however, this cost is more than offset by the benefits of lower electricity costs. A Co-Generation plant is a conventional gas fired engine (similar to that found in small trucks) which turns a generator to produce electricity. The waste heat from the operation of the engines is captured and used to heat water or to produce steam for use in an industrial or commercial process. The combined electrical and thermal efficiency of Co-Generation is typically around 82 to 88%. We prefer to supply conventional low-risk mechanical plant that will keep operating year after year reliably and efficiently. To this end our preferred engine suppliers are Cummins or Perkins who have a strong presence in NZ and have stood the test of time.